Practice Principals and their registered Data Controllers should familiarize themselves with the new General Data Protection Regulation (GDPR) that became effective on 25 May 2018. The increasing incidence of cybercrime emphasizes the importance of high-level security measures being taken to protect the integrity of sensitive patient data. The financial penalties for non-compliance have been increased significantly by the Information Commissioner to improve data protection and address the growing wave of cybercrime. 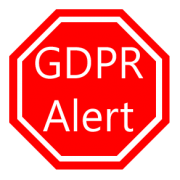 The GDPR includes healthcare within the new special category status comprised of the regulated professions and their obligations in the electronic processing of medical/dental records and secure data transfers. Dental practice websites will need to be fully compliant in respect of the collection and transmission of patient data from interactive online templates used for patient referral, contact us, feedback and other e-data collection facilities. All dental practice data controllers must obtain the informed consent of their patients for the safe storage/transfer/sharing of all of their sensitive data. 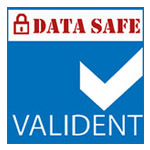 Valident v-Forms bring peace of mind and data-safe status. Our partners at Cobweb have produced this useful slide show for how technology can help your business with GDPR compliance.